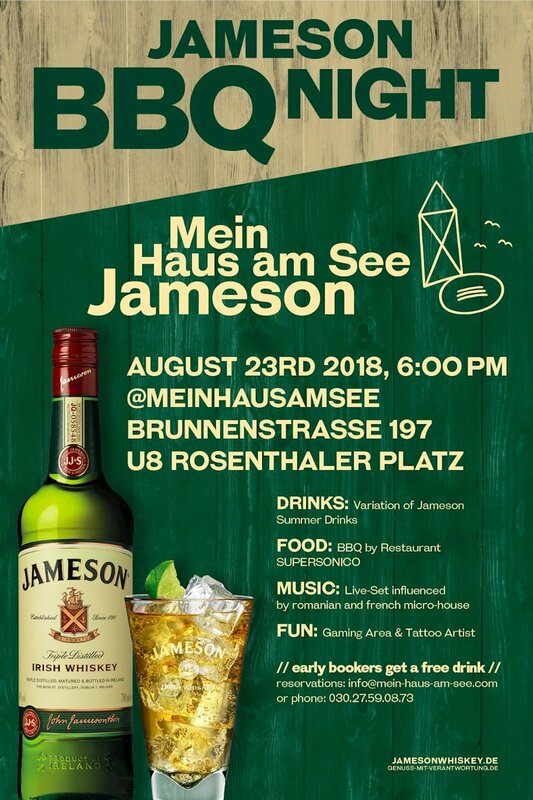 This event "Jameson BBQ-Night Berlin" @ Mein Haus am See has already ended on 08/23/2018. 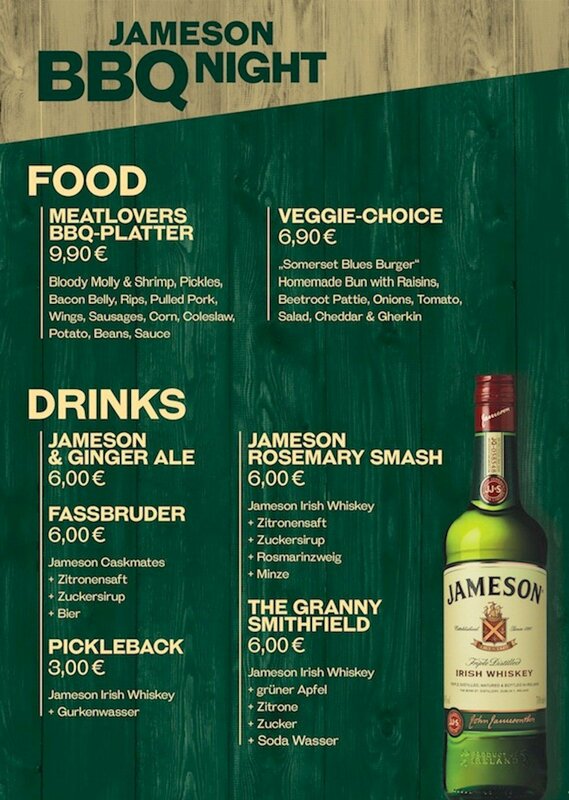 Welcome JAMESON BBQ-Night at MEIN HAUS AM SEE, there are cool Jameson Summer Drinks, a Meatlovers BBQ (veggie friendly) by restaurant SUPERSONICO, gaming area, live TATTOO ART and sounds influenced by romanian and french micro-house, composed by deep grooves, rolling basses, trippy sonorites, banging house and dancefloor-oriented tracks. Early bookers get a free drink.